I had a trip to Cincinnati the other day so I brought a few cameras for some street work. 2 of these were not stealthy, but except for one person I didn't get a second look. 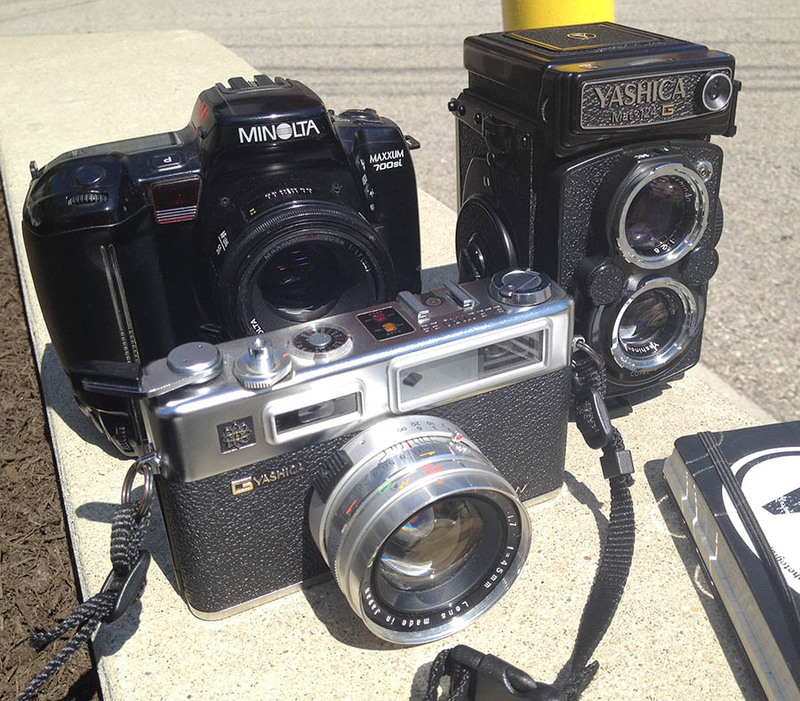 I was shooting with my Yashica Electro 35 GSN rangefinder, a Yashica MAT-124 TLR & a Minolta Maxxum 700si, a mister SLR. Not a single toy camera here.